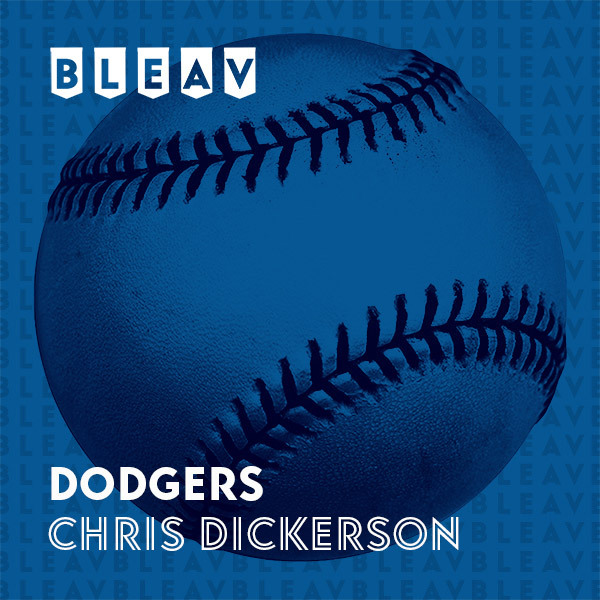 Born and raised in Los Angeles, Chris Dickerson grew up a die hard Dodgers fan. His love and ability for the game was showcased at the University of Nevada where he caught the eye of the Cincinnati Reds in the 2003 draft. In 2008, Chris made his major league debut for Cinci, starting in the outfield. Over the next 9 years, Chris played for the Reds, Brewers, Yankees, Pirates, Indians, Blue Jays and Orioles. In first game back at Yankee stadium for the Orioles, Chris pounded two home runs to remind them of what they were missing. Back residing in Los Angeles, Chris brings to Bleav his professional aptitude and his never ending love for LA’s team.